The heat is on! Summer is just around the corner. And as the weather begins to heat up, you should never let your energy bills become another reason to sweat. Now is the best time to start developing a game plan on how to save energy this summer and keep you and your wallet cool. 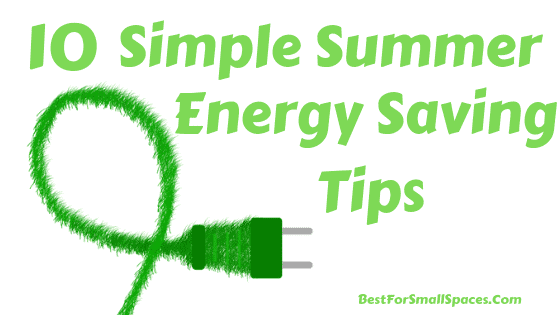 I have listed down below 10 summer energy saving tips to help get you started. These are simple steps that will help you be mindful about your power usage, not only for cool savings but also for a greener lifestyle. So please keep on reading below. 2. Upgrade to a smart thermostat. Your HVAC unit will always need regular maintenance and it would be best to have qualified professionals do the task. The maintenance technician will make sure that your HVAC is still working efficiently, leading to lower energy use and energy bill reductions. For instance, they may replace your HVAC air filters. The air filters not only prevent dust blocking your vents but also promote better air circulation so that your HVAC system will run smoothly. However, it will collect dust and debris over time. If the filters are dirty, it will restrict airflow. As a result, your system will need to work much harder and use much more energy to circulate air. A smart thermostat helps you save money by allowing you to set temperatures from anywhere with just a tap of your smartphone. This makes it easy to warm things up or cool things down by a few degrees while you’re away from home. 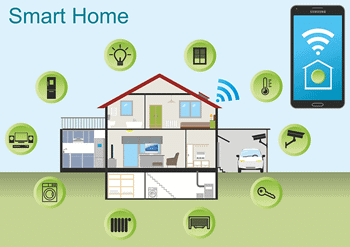 Most of the smart thermostats will even learn your heating habits, know when you’re awake or predict your home comfort needs – it always knows how to adjust your temperature to help you save money. In fact, a study by Nest Learning Thermostat has concluded that you can save an average of 15% air-conditioning costs. Ecobee3, on the other hand, are making some daring claims on energy savings. They said you can save up to 23% on your energy bills with their Ecobee3 Smart Thermostat. These are two of the leading smart home thermostats in the market today. Properly insulating your attic and walls will make your home more energy efficient as the temperature outside will less likely affect the inside of your home. This means less heat will get through and cool air will not be wasted through your walls and ceiling. Also, make sure your doors and windows are properly sealed. If air can get through weak window seals and closed doors, you are just throwing your money away. Your air conditioner will need to work harder to keep your house cool. One of the easiest ways to help you beat the heat is by closing your shades and curtains during the day, when the sun is at its hottest. This will keep some of the sun heat out of your home, which greatly contributes to the indoor temperature. It would also help if you observe the sun’s pattern across your home and consider having insulated or thermal back drapes installed on these areas to block out sunlight and extra heat. You can even install energy efficient windows to further prevent heat loss through the windows. Take note that windows are a big source of energy waste, which can sum up to 10 to 25% of your total air-conditioning bill. You can replace your old single-pane windows with double-pane ones. There’s also low-E coatings on windows that can significantly reduce heat gain as it reflects more light and lowers the amount of thermal energy diffused into your home. ENERGY Star windows will help you save from $20 up to $95 every year on your utility bills. If you have not switched your light bulbs to LED yet, then now is the right time. Even if they initially cost more than the traditional incandescent bulbs, they will save you money during their lifetime as they use less energy. ENERGY STAR-qualified LEDs use only 20%–25% of the energy of traditional incandescent bulbs. This is because traditional incandescent bulbs use a lot of energy to produce light. 90% of this energy is actually given off as heat and this is lost energy or should I say money that we are throwing away. 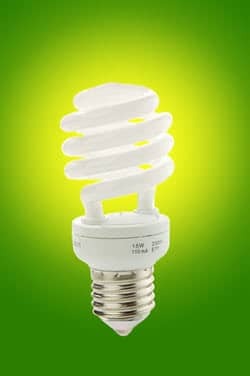 LEDs also use 25%–30% less energy compared to a halogen incandescent. Of course, don’t forget to turn lights off in areas of your home that are not being used. As an alternative of running your air conditioner all through the day, give it a break and use a ceiling fan instead. It will circulate the air around your home and will cool down your space using less energy. It can actually help a room feel up to 10 degrees cooler while only using 10% of the energy of your central air conditioning. Also, make sure to check your ceiling fan direction. It should be set in a forward, counterclockwise direction so it can pull up the cooler air from the ground and circulate it all over the room. Don’t forget to turn off the fan when you leave the room. Try to air dry both your laundry and dishes whenever you have a chance. 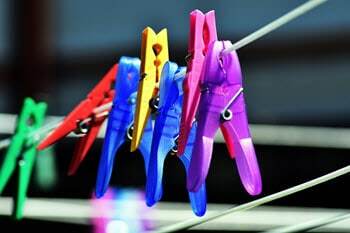 Take advantage of the warm summer months and dry your clothes on a drying rack or by creating a clothesline. On your dishwasher, skip the heat drying cycle and allow your dishes to dry on their own. Not using heat-generating appliances whenever you can will help you lower your energy use and at the same time help you keep your home cooler. It’s highly recommended that you use your oven less often during summer months because it can heat up your entire kitchen. It can actually raise your kitchen’s temperature as much as 5 to 10 degrees. As a result, your air conditioner will have to work a lot harder. So make sure there’s enough gas for your cooking grill outside. Microwave cooking is also a great way to prepare food without generating extra heat in your kitchen. It’s already hot enough outside and firing up your oven inside will not only make you sweat but will also make your air conditioner’s job much more difficult. Change your laundry routine by only washing and rinsing your clothes using cold water, in contrast to the hot setting we are all familiar with. Do you know that 90% of the energy your washing machine is using goes through heating the water? So I guess it is safe to assume that choosing a colder cycle rather than the hot one will help you save a significant amount of electricity. I’m sure you are all looking forward to the summer months. Most people are looking forward to warmer weather and the great summer nights. However, one thing is for sure, high energy bills are not welcomed. Anyway, I hope these summer energy saving tips will help you lower your bills and save you money this summer. If you also have any tips that you’d like to add, drop it in the comment section below. It would be great to hear from you.